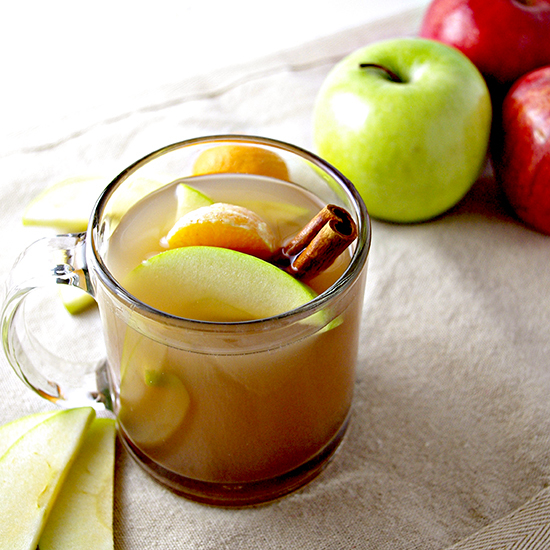 This gluten-free, soy-free, low-sugar Homemade Apple Cider recipe is full of flavor with a secret ingredient to give it just the right amount of sweetness. Why did I not do this sooner? Why did I give up on apple cider? Because I thought store-bought was too sugary is why. But I needn’t have broken up with apple cider, and neither should you. We simply need to make our own. Apple cider relationship saved. Discovering this little relationship-saving factoid was quite timely because the weather has officially started to change, and that basically means from now until next summer, I will be drinking Homemade Apple Cider like it’s my job. In other words, it’s cider time. I even used my stockpot for the first time to make this. If that isn’t love, apple cider, then I don’t know what is. Also, I had trouble finding my stockpot. First, I mistook another saucepan for my stockpot. Then, when I discovered that error, I thought I didn’t have one. Perhaps I remember Mom’s stockpot, mistook the memory for having one of my own, and then jumbled everything. And then, as I gave in and pulled out my crockpot (see recipe Notes for details on this variation), I rediscovered my OWN stockpot sitting right there in the Lazy Susan, the care instructions sticker still affixed to the center of the pot. Bless it all. What can I say? I was a little jazzed to rediscovered and use my stockpot for the first time. 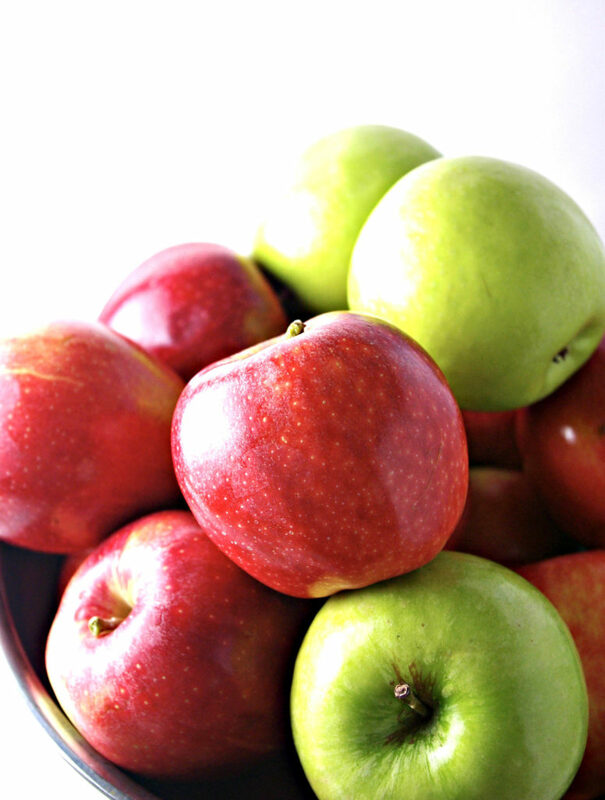 I was a kid in the candy store, except instead of candy I was drooling over sweet, tart, crunchy red and green apples. The smell of cinnamon, allspice, and cloves hung in the air. There was just enough breeze to carry the aroma throughout the house, upstairs and down. We couldn’t escape it if we tried. We were not sad about this. Oh, Fall, how I love thee. But let’s get serious for a minute. This aroma? This sweet crunchiness? There’s no catch. 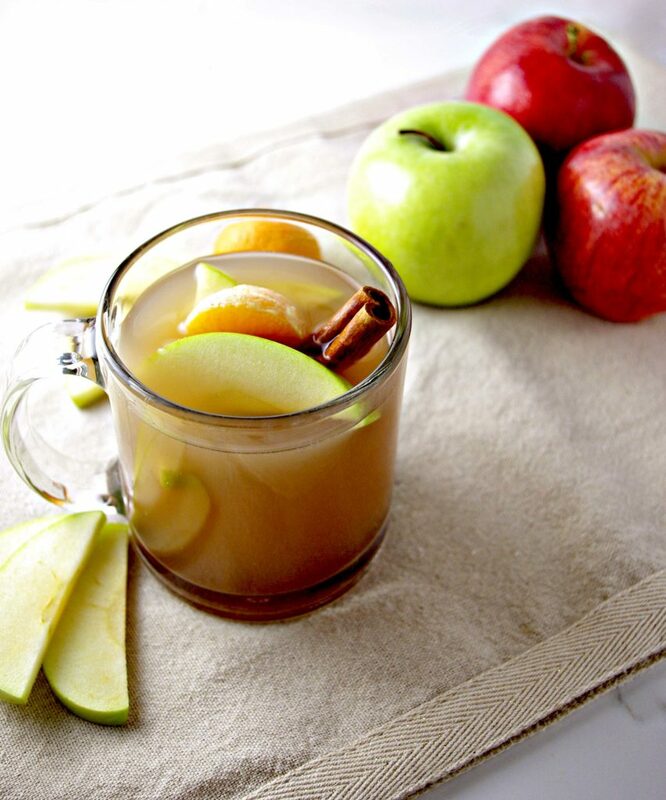 This is an all-natural Homemade Apple Cider. And YOU, my kitchen warrior friend, YOU get to decide what goes in it. Quite possibly the biggest achievement for me was being able to hold onto the taste without holding onto excess sugar. Thank you deeply for thinking so highly of my ability to make sound, rational, mature decisions. But therein lies the problem. It is not genetically possible for me to “just have a little store-bought cider here and there.” Nope. I must have all the cider all the time. And I’m still thinking about that subtle, distinct aroma that gradually crescendoed throughout the house. Omigod and I cannot even. We’ll always have the memories. Also I will be making this next week because we will have run out by then. I cannot stand idly by while my kitchen goes without cider. And if you can’t either, then we’ll hold company together and make this magical recipe. You think me a bit dramatic, but just wait until you try it. You will never be the same. For this particular batch of Homemade Apple Cider, I used Gala apples. But I would also absolutely go with Granny Smith, Honeycrisp, Fuji, or even Pink Lady, controlling the desired sweetness with varying levels of spice and natural sweetener, taste-testing as I go. And as for sweetener, honey (for a paleo version) and agave nectar (for a vegan version) would be my top two choices. Did I also mention this homemade apple cider smells really freaking good? Cider on fleek. You know what else is smooth? Adding oranges – the secret to bringing this recipe to life. You don’t have to use oranges, but I’m tell you, your tastebuds won’t be sad. One large or 2-3 small will do (I used two mandarins). To make this, I rinsed the apples and sliced them into quarters. Leaving the skins on, I dumped them into 16 cups of water in my stockpot (I feel like such a grown up! ), added spices, oranges, and sweetener, and that’s about it. A third of the way though simmering time, I did come back and mash everything with my potato masher. 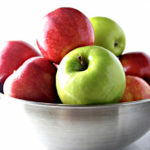 By then the apples were soft enough to mash, the spices had started to set in, and the flavor was starting to take hold. Once the mixture has simmered a full three hours, it’s time to strain it. I absolutely highly suggest you use a mesh strainer or cheesecloth for this, and I also suggest going through the straining process at least two times, if not more. I found that with each strain, I was able to reduce the grittiness of the recipe without sacrificing the flavor. You can use a paper towel in place of a cheesecloth for small amounts, however it isn’t quite the same. But, speaking from experience, it will do, although slowly, in a pinch. The apple cider mixture will look like sludge. But we found that much of it had an applesauce quality to it. So we actually ate part of the “sludge,” and let me just say, sludge never tasted so good! For real. Store this magic in glass jars for a few days or freeze for 3-6 months. Plan to shake it before consuming as many of the spices will collect at the bottom of the container. Enjoy hot or cold. 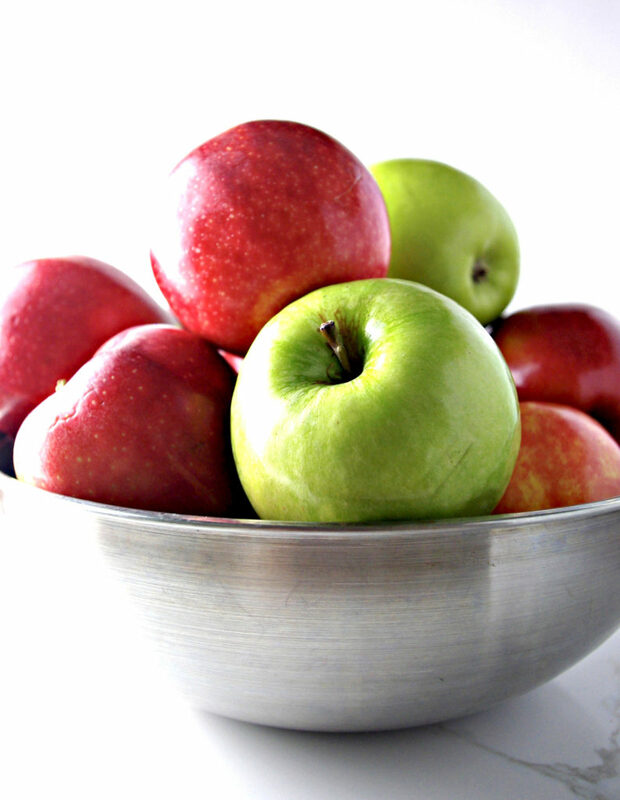 Add apple slices, orange slices, or cinnamon sticks for added flavor and flair. Because flavor and flair are important. Always. Pour water into stockpot and set to medium heat. 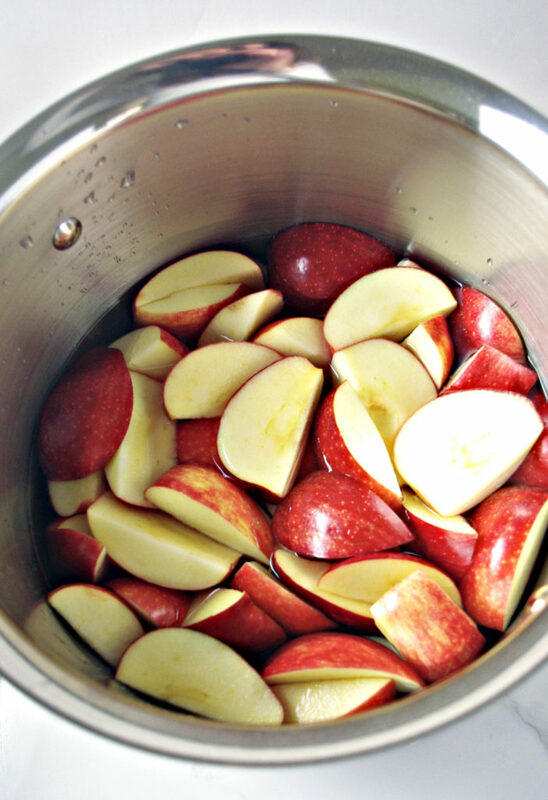 Add sliced apples, spices, sweetener, and oranges and simmer covered for one hour. After one hour, mash ingredients with a potato masher and continue to simmer covered another two hours. Using a mesh strainer, pour mixture through strainer into a wide-mouthed bowl. Repeat 2-3 times more or until grittiness is removed and the cider tastes and feels smooth. Store in glass jars for about a week in the refrigerator or 3-6 months in the freezer. You can also make this using a crockpot following the same instructions and warming it for about 8-10 hours. Mash the ingredients with a potato masher about a third of the way through cooking time. You will likely NOT lose as much liquid through evaporation. Taste-test a few times throughout the cooking process to adjust spices as needed. Thank you! 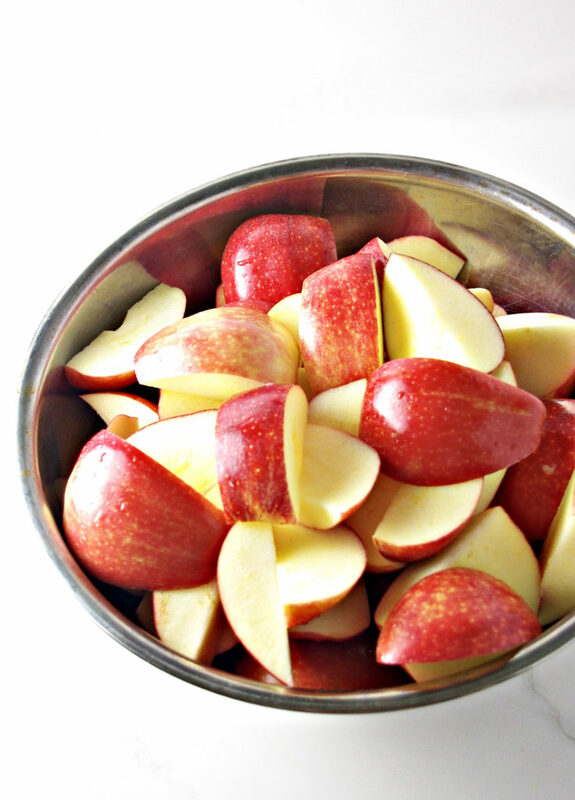 We love apples, too!